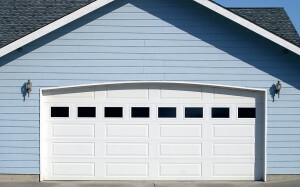 What does your garage door say about your White House, TN, home? Does it add to its curb appeal or does it detract from its appearance? Does it provide reliable service by opening and closing when you need it to, or does it get stuck? Does it reflect your personal tastes, or is it just something that came with the house? If you’re not happy with your garage door’s appearance or functional reliability, you need to contact the professionals at 31-W Insulation. We are the trusted experts who will help find a solution to your garage door needs. Value – Your investment will be well protected because our products are backed by extensive manufacturer warranties. Quality – You can rest assured that the garage door we install in your White House home will stand the test of time and continue to function reliably for years into the future. Beauty – With a wide variety of styles and colors to choose from, along with customizing options, you will be able to choose the perfect door to match your home’s architecture and your personal aesthetic preferences. 31-W has been providing home remodeling and garage door installation services to customers throughout the United States since 1972, which means that you will never have to worry about the quality of our work. Additionally, we are committed to the complete satisfaction of all of our customers. To learn more about our numerous garage door options available for your home in White House, Tennessee, contact 31-W Insulation today. Our home improvement consultants will be happy to help you begin the process of choosing the perfect door for your home.